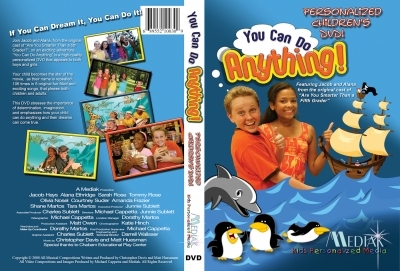 You Can Do Anything Personalized Children’s Music DVD features Jacob and Alana from the original cast of “Are You Smarter Than a Fifth Grader” on an exciting adventure! 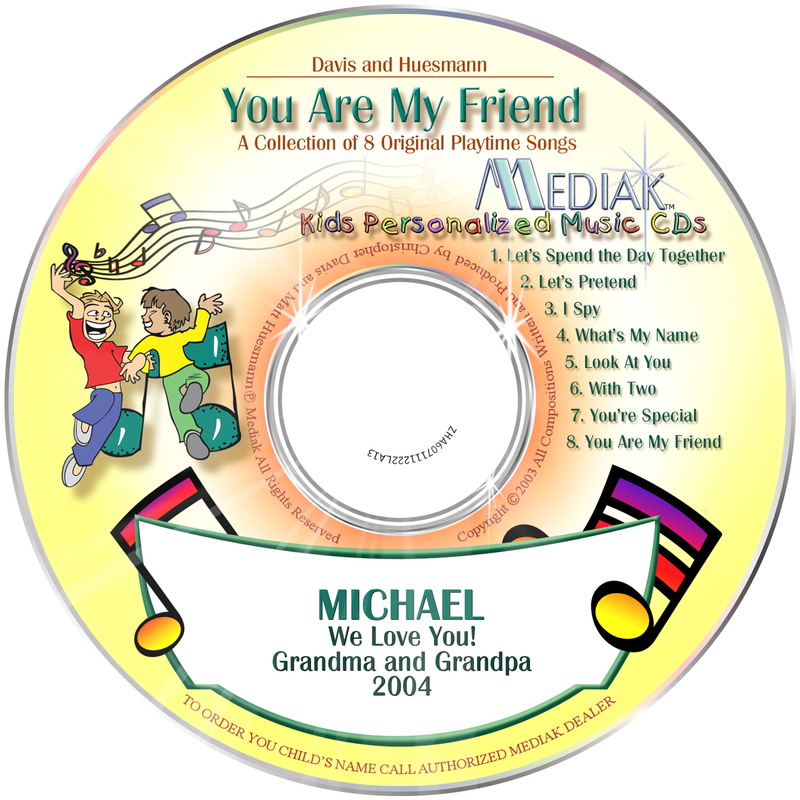 This adventure DVD encourages boys and girls on the importance of determination and imagination. 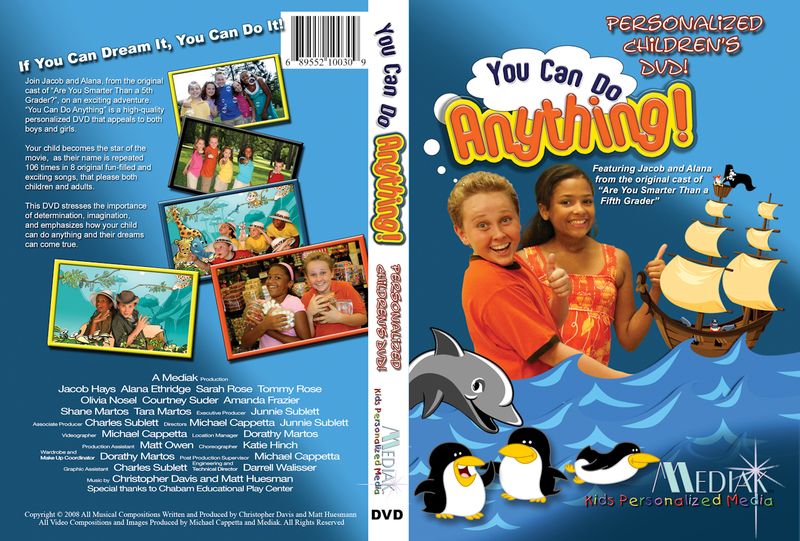 If you can dream it…You can do it! 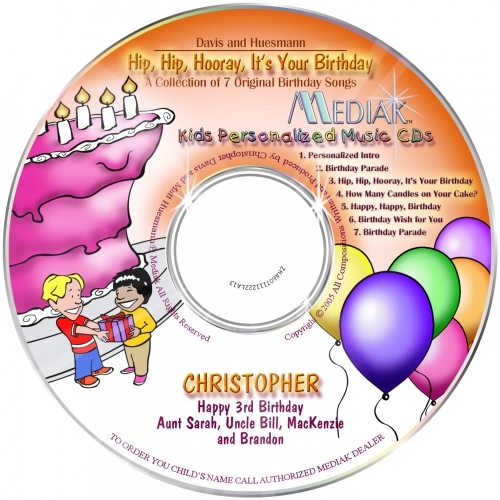 Your child becomes the *Star* of the DVD as their name is repeated 106 times in the 8 fun-filled songs.